Like so many other Rolex tools watches, the Milgauss watch was developed to serve a very specific audience. With its resistance of up to 1,000 gauss of magnetism, the Rolex Milgauss was targeted to scientists, engineers, and medical professionals who often found themselves in high magnetic fields. Magnetism is detrimental to the mechanical movements in watches, so an anti-magnetic watch is in order when exposed to high magnetic field environments. Rolex introduced the Milgauss in the mid-1950s and since then, the collection has undergone plenty of changes. Enter the Milgauss 1019. However, there’s one model in particular, the Milgauss ref 1019, that stands out for sporting a look that’s quite different to other Milgauss watches. Let’s find out more about the vintage Milgauss that doesn’t actually look like a typical Rolex Milgauss. The Milgauss 1019 is a rare vintage watch. For some context, we need to look at the earliest Milgauss watches. There’s the Milgauss ref. 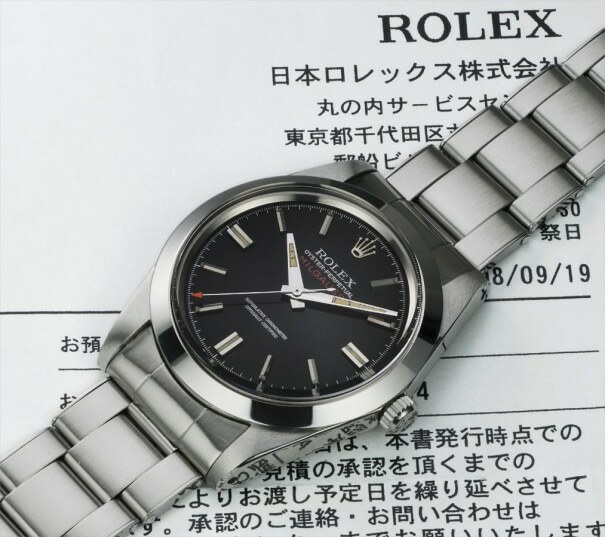 6543 (sometimes considered as the Milgauss prototype) quickly followed by the Milgauss ref. 6541. The Milgauss ref. 6541 contains the design details that we most associate with the Milgauss watch. There’s the 38mm Oyster case equipped with an iron shield to protect the movement from magnetic fields. Furthermore, there’s the honeycomb-patterned dark dial with a mix of round luminous hour markers and triangular indexes, along with the red MILGAUSS text. On top of the case is a black graduated rotating bezel (similar to the Submariner of the era). Finally, the Milgauss ref. 6541 also has the distinct lightning bolt seconds hand accompanying the alpha-style hour and minute hands. The Milgauss 1019 does not have the lightning seconds hands. 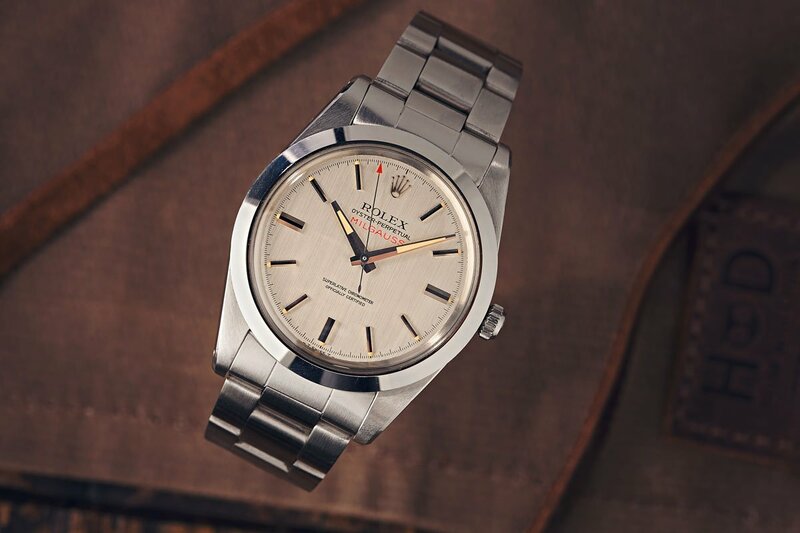 In the 1960s, Rolex launched the Milgauss ref. 1019. However, this particular model looks so different to its predecessors that at first glance the Milgauss link (aside from the red MILGAUSS text) is not immediately clear. While the case size remained at 38mm, the Milgauss ref. 1019 comes with a smooth steel bezel rather than the preceding rotating black bezel. The dial, available in black or silver, did not include the honeycomb pattern and it now housed baton hour markers. Even more surprisingly, the Milgauss ref. 1019 did not include the signature lightning bolt seconds hand. It was replaced with a straight seconds hand with a small red arrow tip. These design changes did not prove to be successful during the Milgauss ref. 1019’s production run. It’s no secret it was a slow-moving Rolex watch and the entire Milgauss collection was discontinued in 1988 (only to return almost two decades later). Other variants of the Milgauss 1019 include a black dial. While it may not have been a successful model during its time, it’s a completely different story for the vintage Milgauss ref. 1019 in today’s market. The Milgauss 1019 is now a highly collectible vintage Rolex watch, commanding prices well beyond $20,000. In fact, Phillips sold a Milgauss ref. 1019 with a rare “Black Swan” dial for more than $170,000 just last year. Despite its initial unpopularity decades ago, the Milgauss 1019 now has an enthusiastic base of collectors. The Milgauss 1019‘s turnaround story is one that the vintage Rolex collecting community is familiar with. 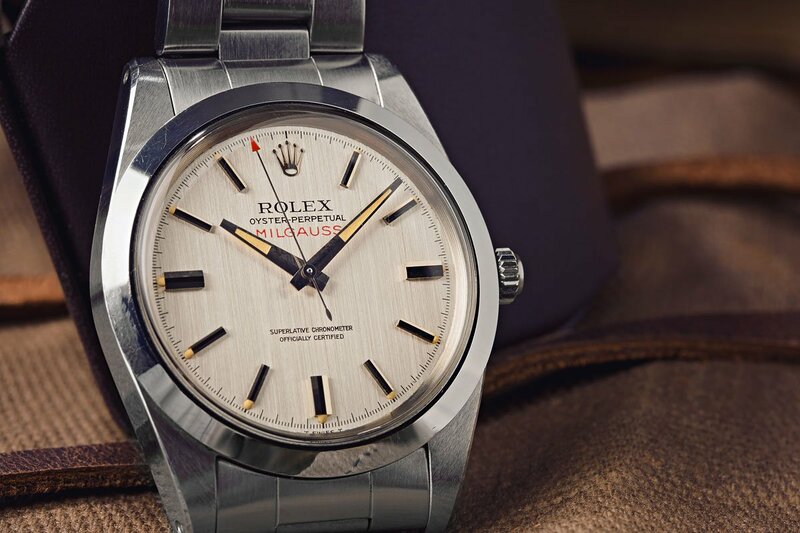 Along with the Milgauss 1019, there have been plenty of other Rolex watches that were once deemed failures only to reemerge as sought-after vintage references. It’s a happy ending for the Rolex Milgauss 1019.